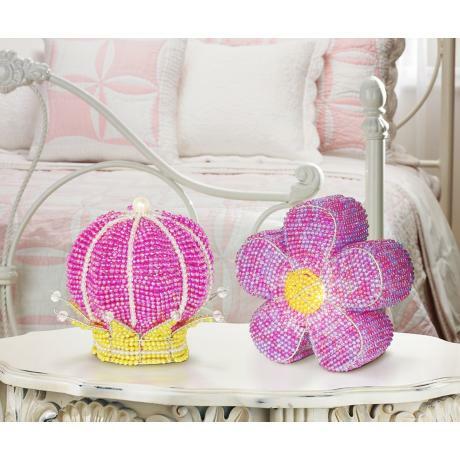 Keep your little princess's room safe at night with this whimsical, hand-crafted line of beaded night lights. The intricate process of wire-bending art requires great strength and skill. The frame is then woven with a rainbow of colorful acrylic beads. This night light is crafted by skilled artisans in community uplift programs in rural villages, helping to make a better life for artisans and their families. - Artisan hand-crafted night light. - Takes one 4 watt night light bulb (not included). - 7 1/2" high x 7" wide x 7" deep.